Give it a name. 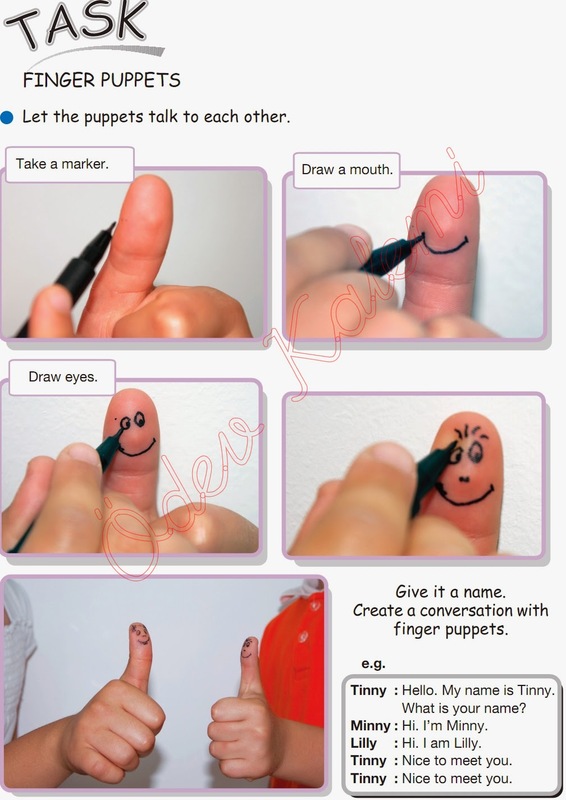 Create a conversation with finger puppets. Hello. My name is Tinny. What is your name?